Description: Deaf Awareness Week is the last week of September (24th-28th). Each year the Deaf and Hard of Hearing (DHH) program does special things throughout the week (teach sign language to the building, special lessons in Gen Ed, sign videos, shirts and deaf guest speakers.) One thing that is also done is to have staff and students help support our district’s hearing-impaired peers by purchasing and wearing a Muscatine Muskies Deaf Pride t-shirt. 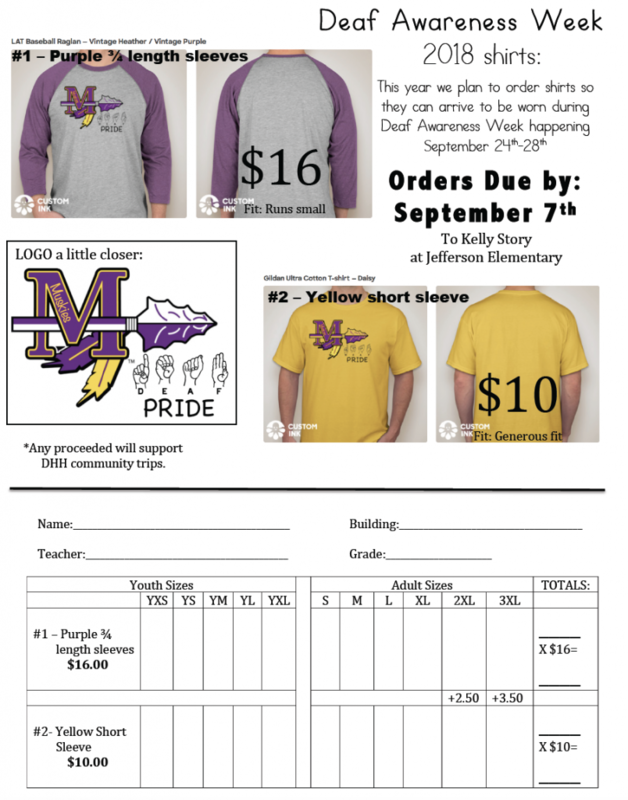 Orders are due by September 7th and should be sent to Kelly Story at Jefferson Elementary.